Richmond, VA – (September 28, 2017) — G.I. has a lot to celebrate, as they recently received news that their new album “Winning” debuted at #6 on Billboard Gospel Album’s Sales Charts. “To God be all the glory! We just believe that this is a WINNING SEASON for the people of God,” says group member Branden Anderson. These young men are living proof that when God gives you a vision, if you just hang in there and remain faithful, God will reward you and deliver your due season. 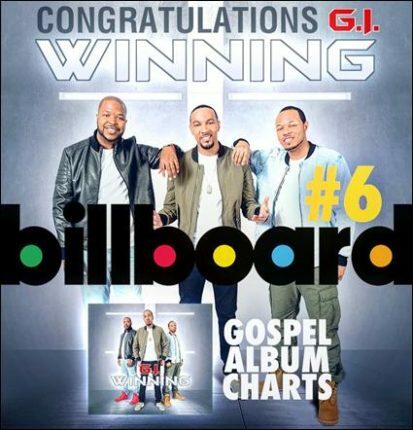 The lead single “Pray and Don’t Worry” shot to Billboard Gospel Airplay’s Top 10 Chart and nested there for 20 weeks. Their new single “We Win” is climbing even faster (#42) and has already been stamped a favorite by program directors across the country.